The dog was exhibiting an extraordinary performance. "That is a very smart dog," the man commented. "He's not so smart," said one of the irked players. 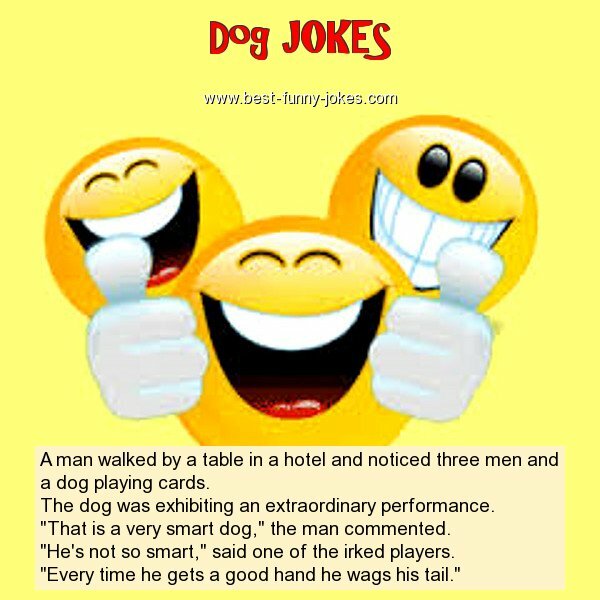 "Every time he gets a good hand he wags his tail."